Gallery of famous women from around the world. Introducing an extensive collection of celebrity photos. 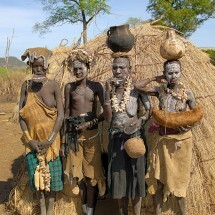 Gallery of images depicting several women from the tribe which inhabits the southern areas of Mursi of Ethiopia. 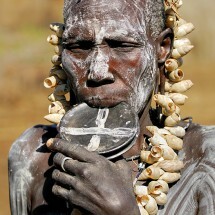 Characteristic of the women of this tribe are clay discs inserted in the lip. The larger circle in the womans lip, it is more attractive in the eyes of the tribe. Serves 50 photos of American cheerleaders cheering team of professional American football league and the NFLs most prestigious basketball league the NBA world.